Hope International University | Paul H. Alexander Ph.D.
Paul Alexander, Ph.D., was named Vice President for Academic Affairs in February 2010. Dr. Alexander has served Hope International University since 1995 in a variety of leadership roles that have left an indelible mark on the advancement of the University. 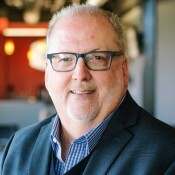 He has served as Chair of the Department of Social and Behavioral Science for Pacific Christian College of HIU, Professor of Psychology and Leadership, Director of Distance Learning, and Director of the Center for Leadership Learning. Locus of Control and Conflict Management: An Examination of the Relationship Between Locus of Control and Conflict Avoidance Among a Local Church Staff. Published as a part of online journal at Regent University. Dissertation: Professor as Leader of Students' Faith Development: An Examination of the Relationship Between a Professor's Willingness to Share Personal Faith Information and Changes in Students' Faith Maturation. It is my life's mission to be the best husband and father I can be. Additionally, it is my mission to glorify God in the area of teaching and learning excellence in Christian higher education.